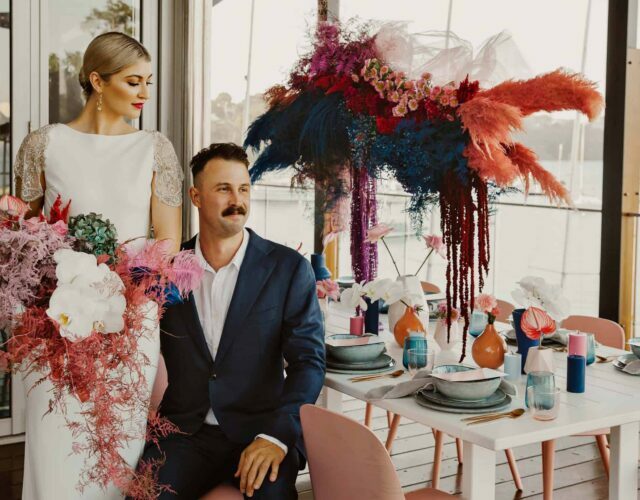 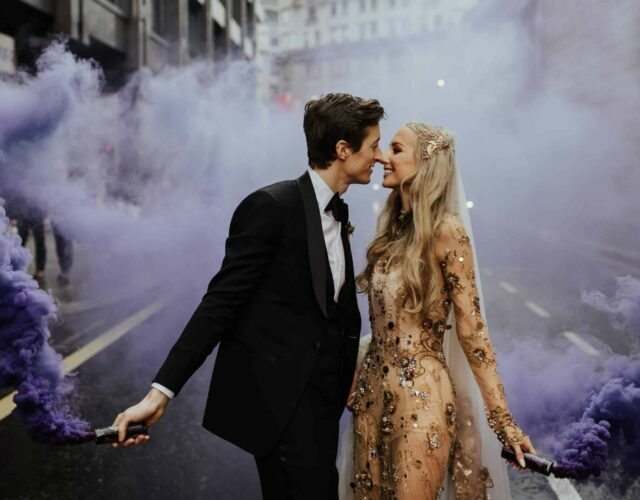 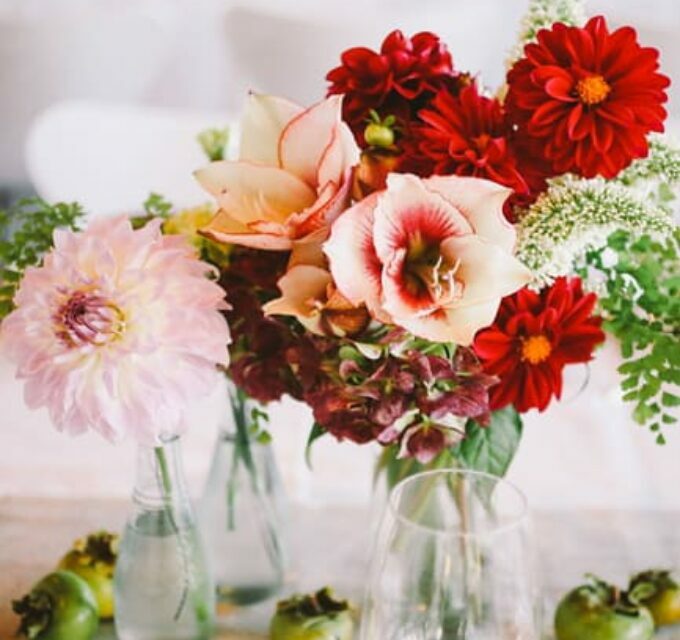 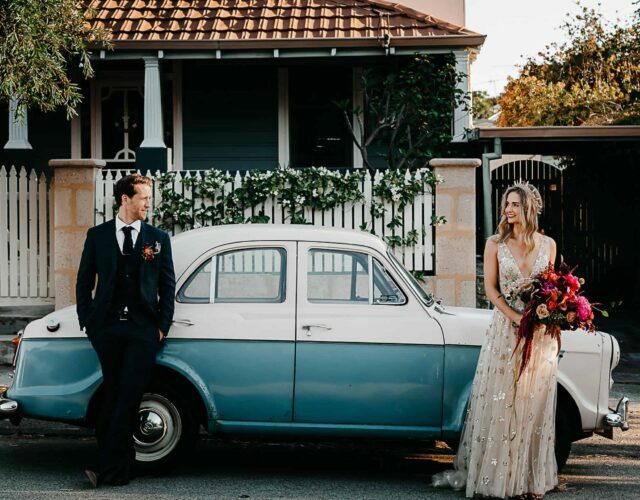 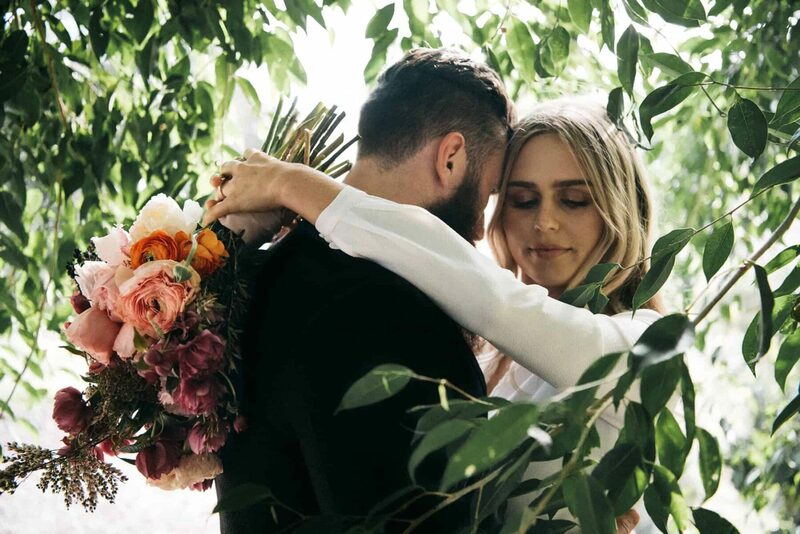 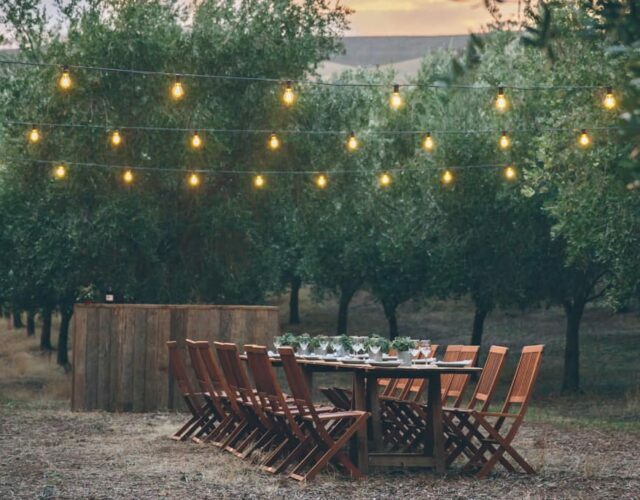 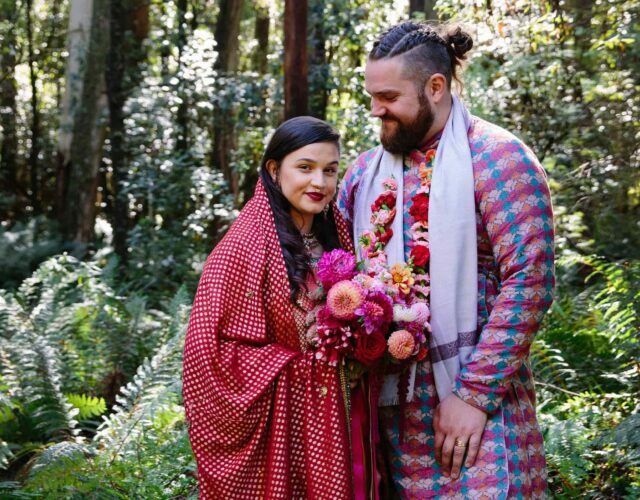 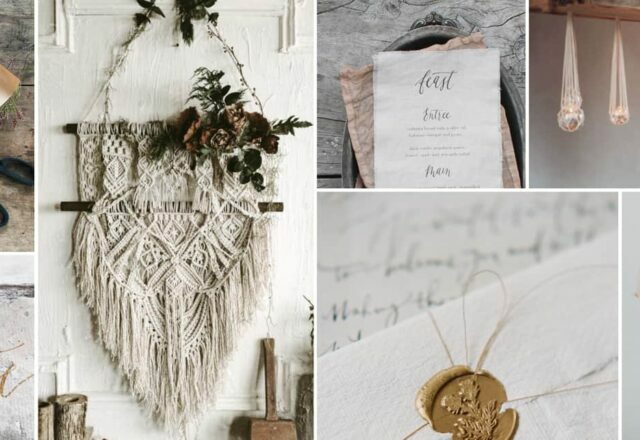 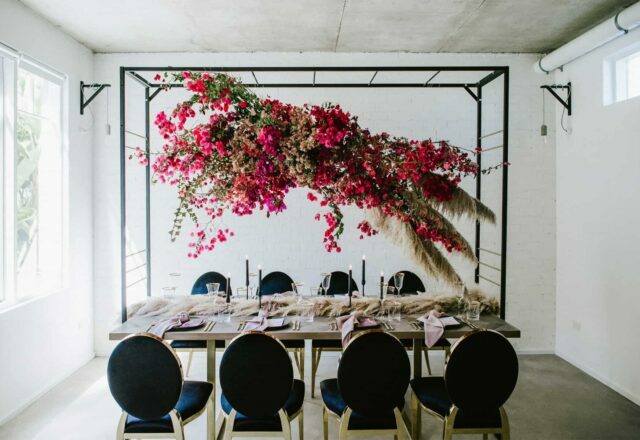 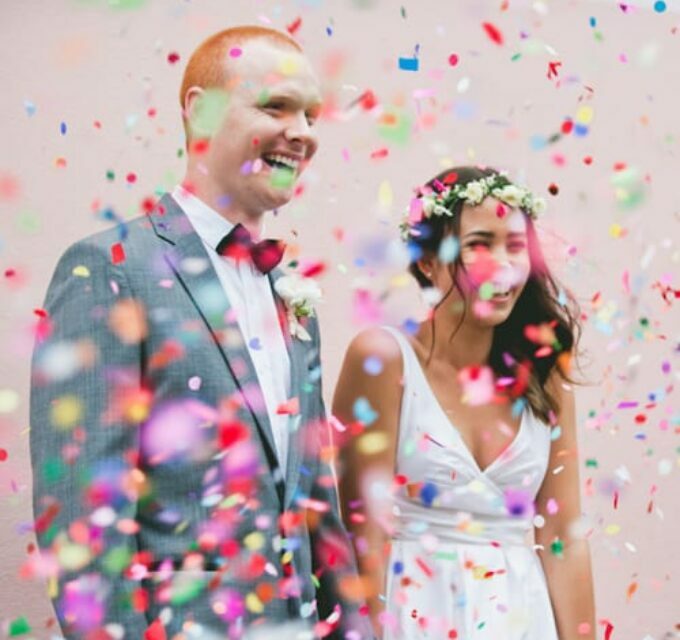 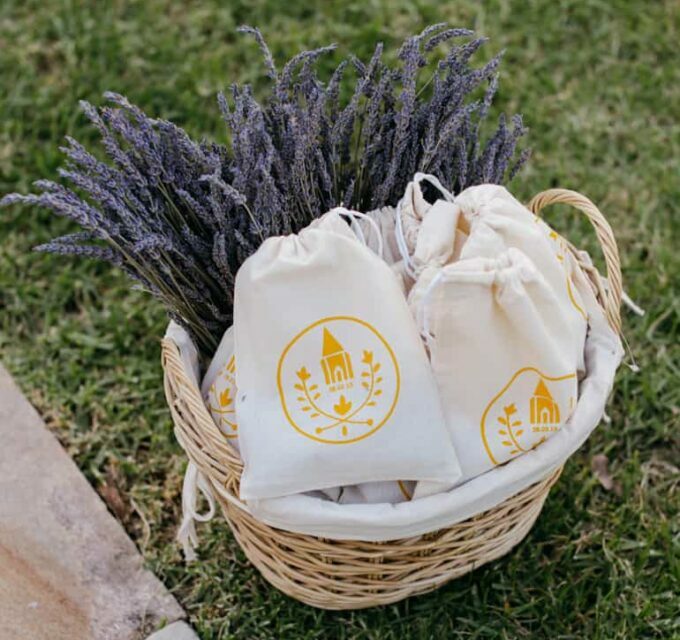 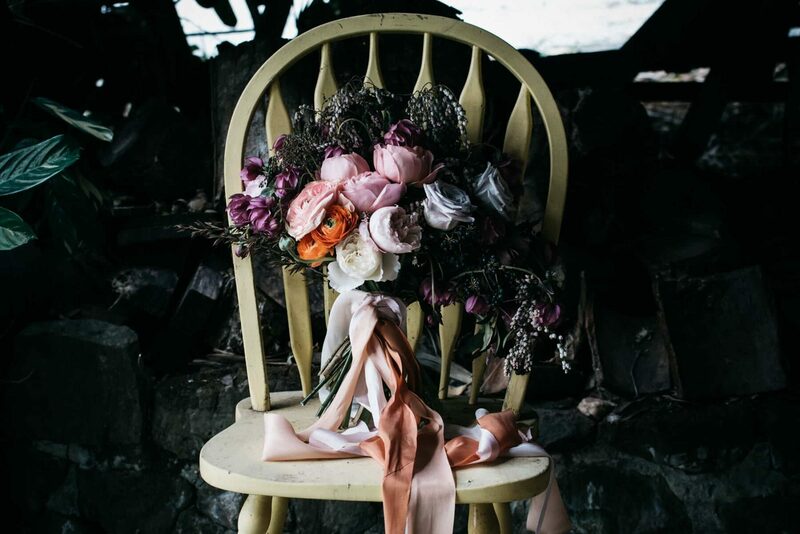 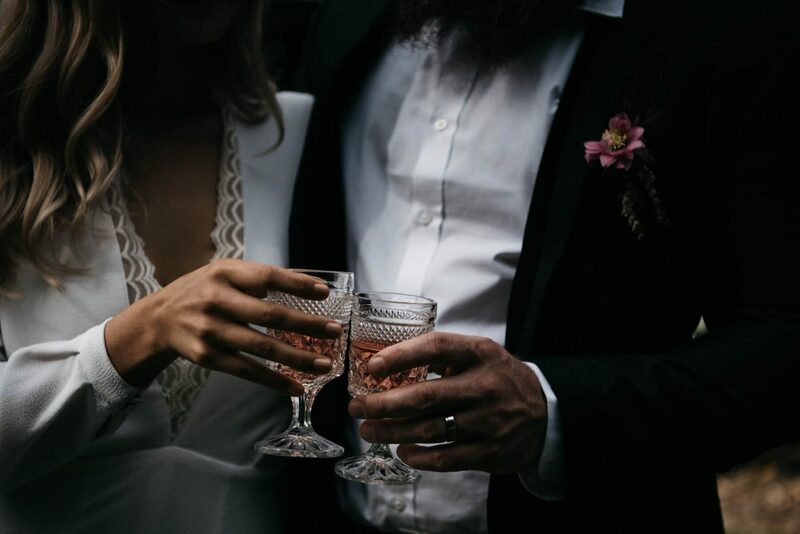 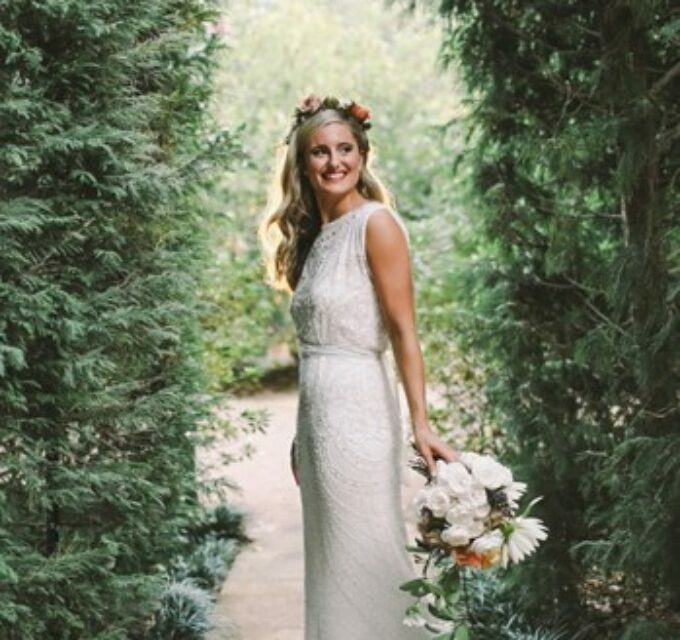 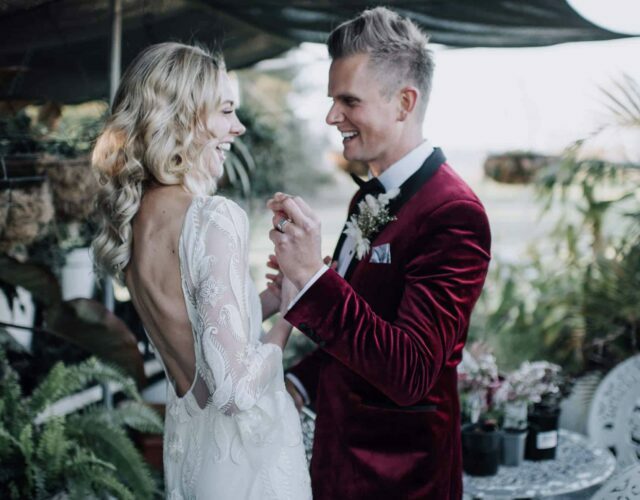 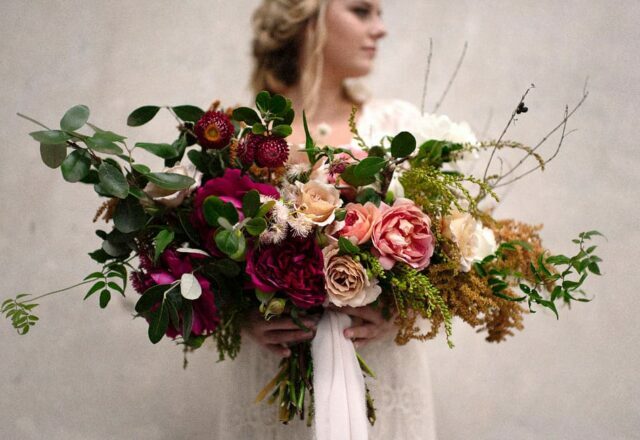 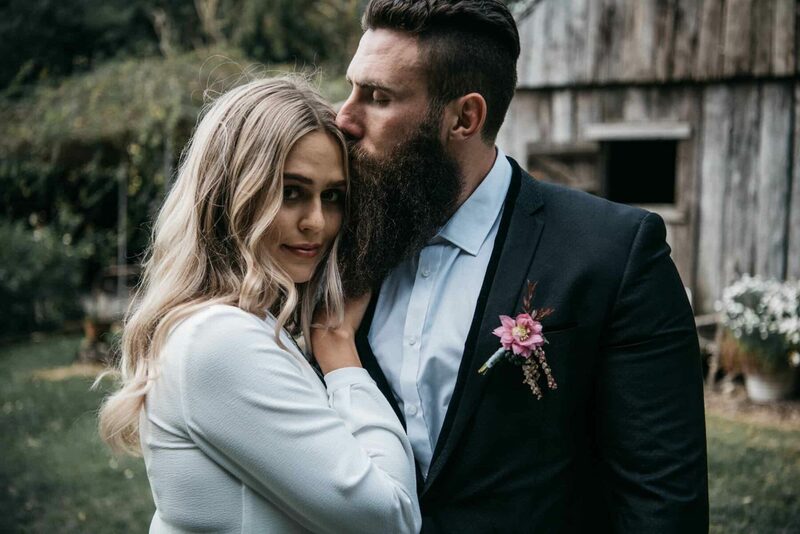 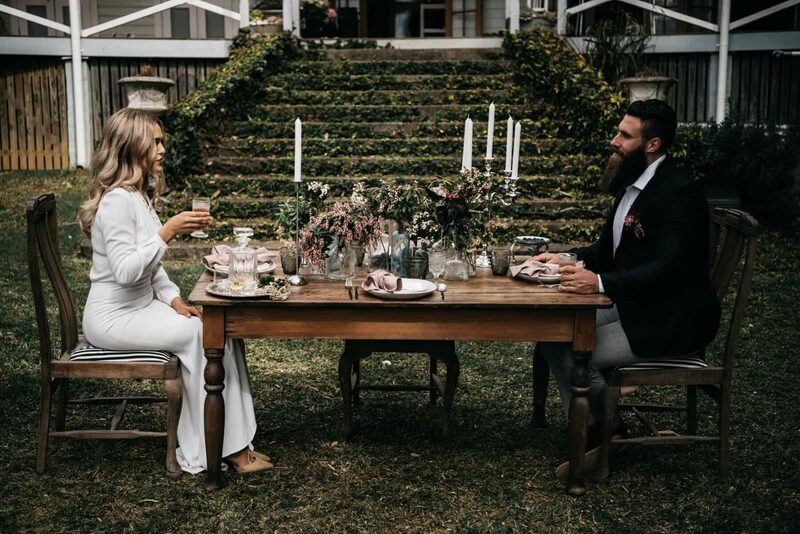 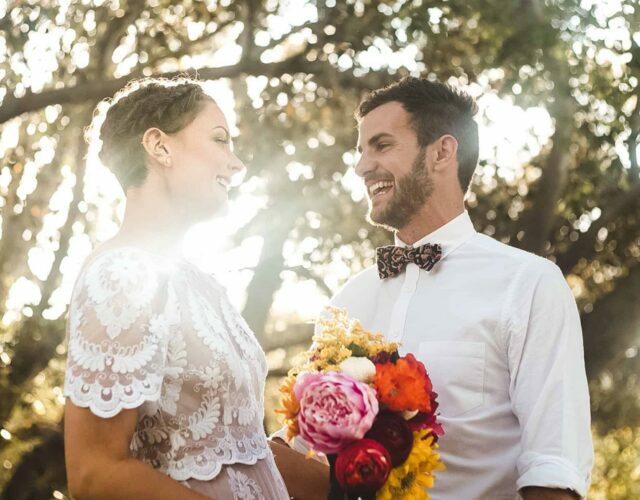 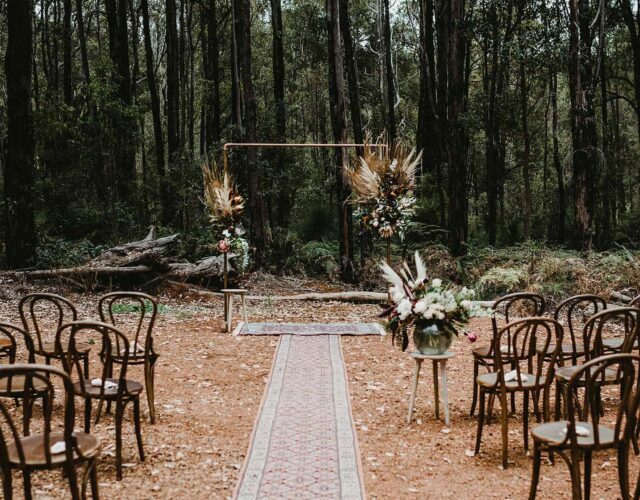 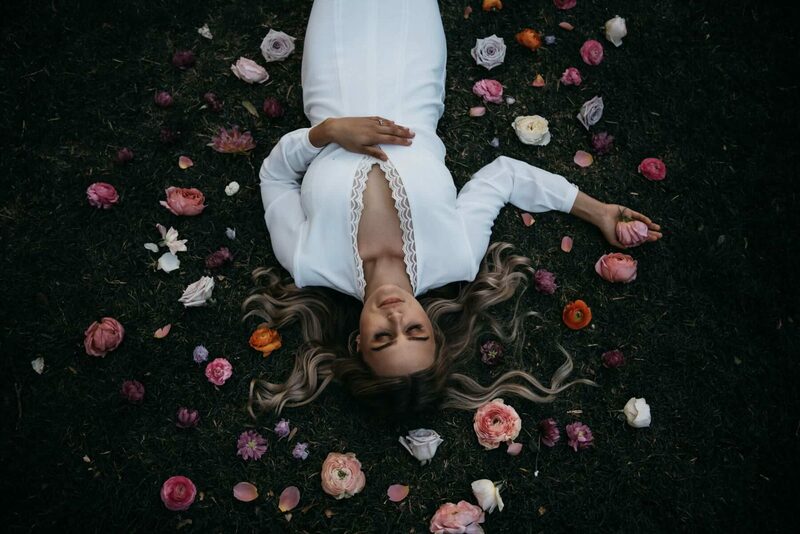 Celebrating the gypsy spirit with a romance that breaks with convention, this shoot by Peppermint Photography and House of Lilley entitled “Painterly” is an example of rustic done right. 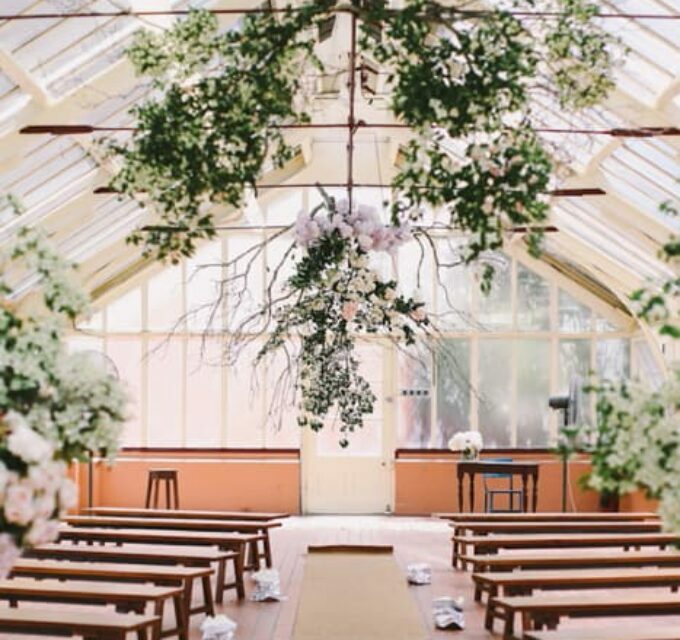 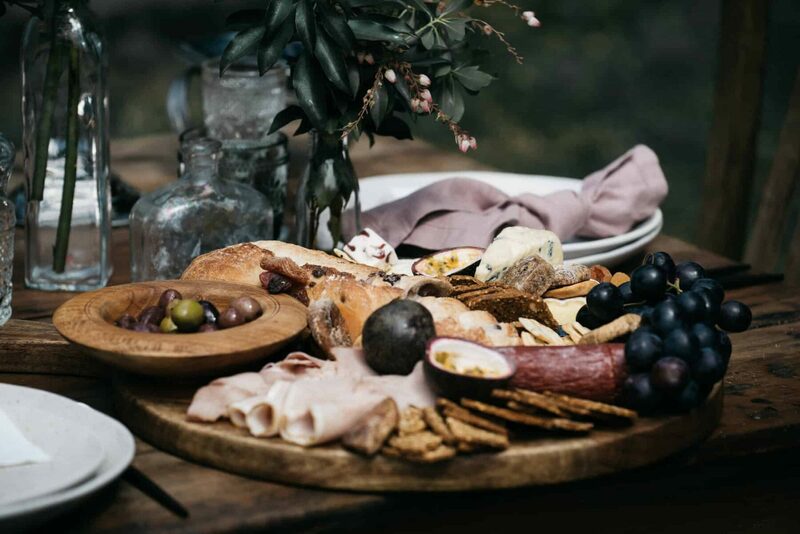 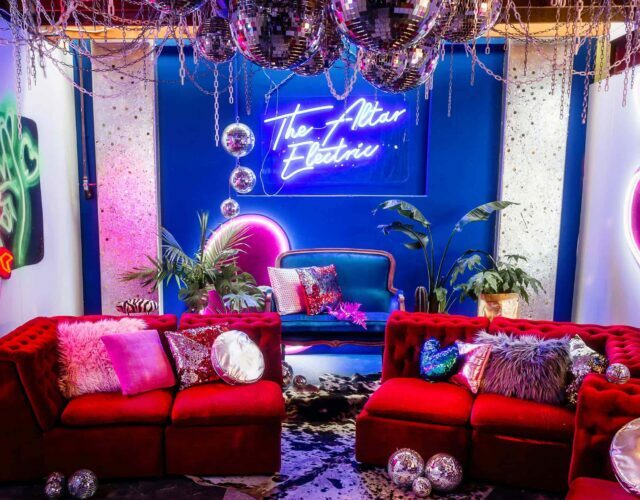 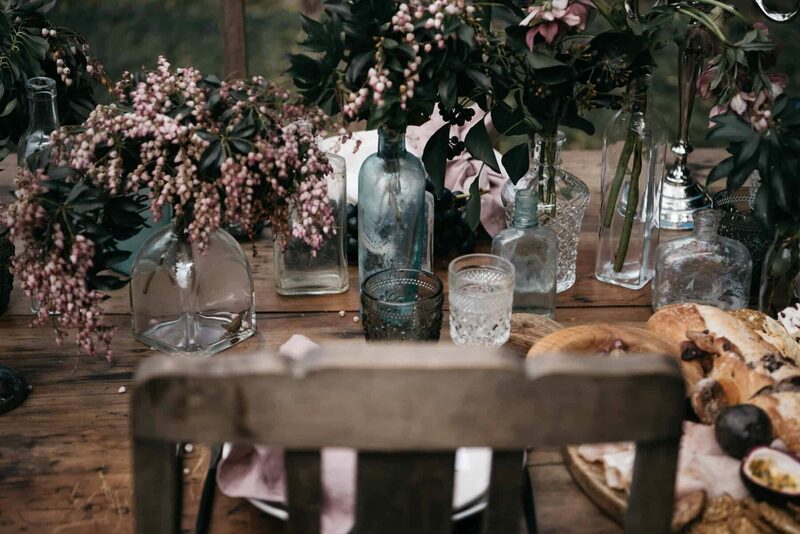 The creators were inspired by all things poetic and wild to bring together weathered textures of long wooden tables and rustic garden sheds, flowers arranged in old perfume bottles and wildly overgrown and long forgotten gardens, revealed only to those who know how to find their way there. 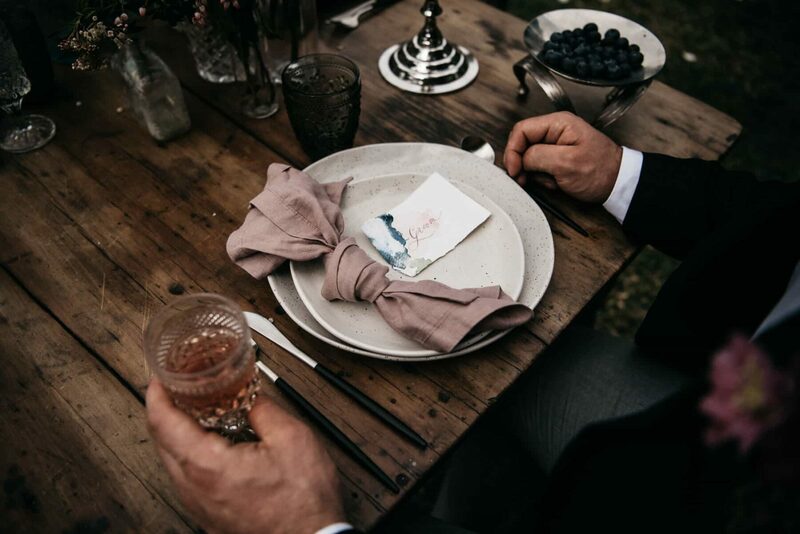 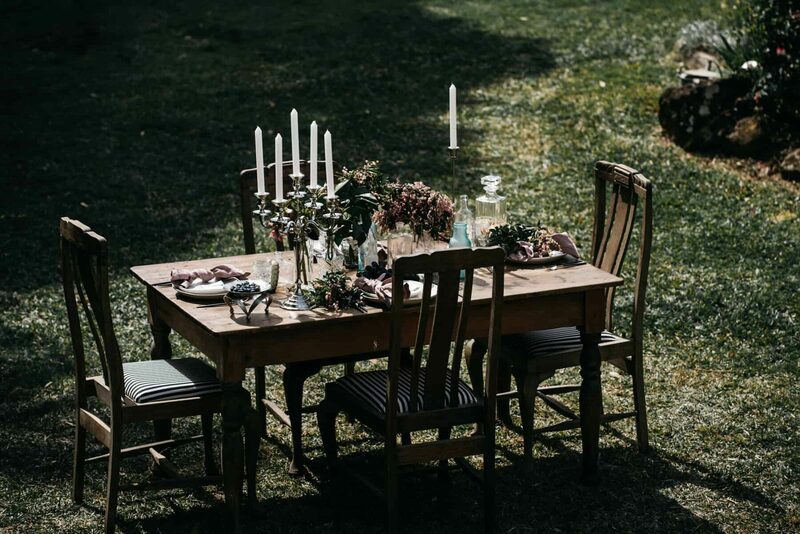 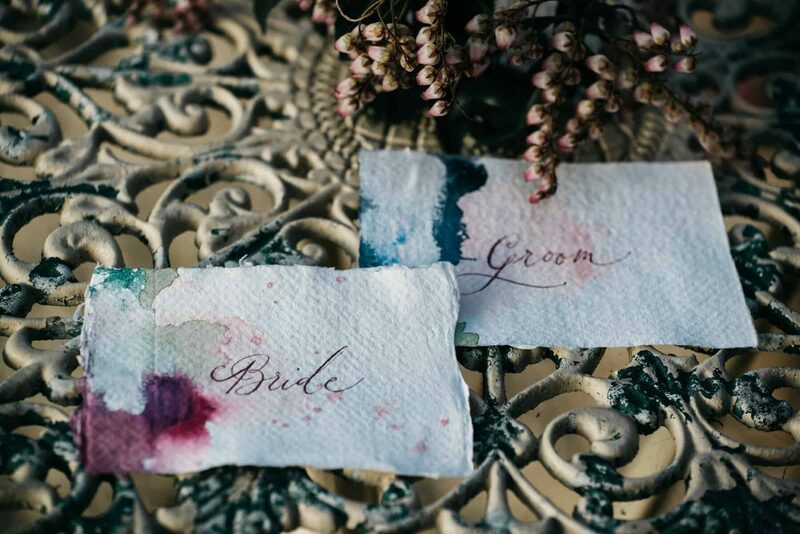 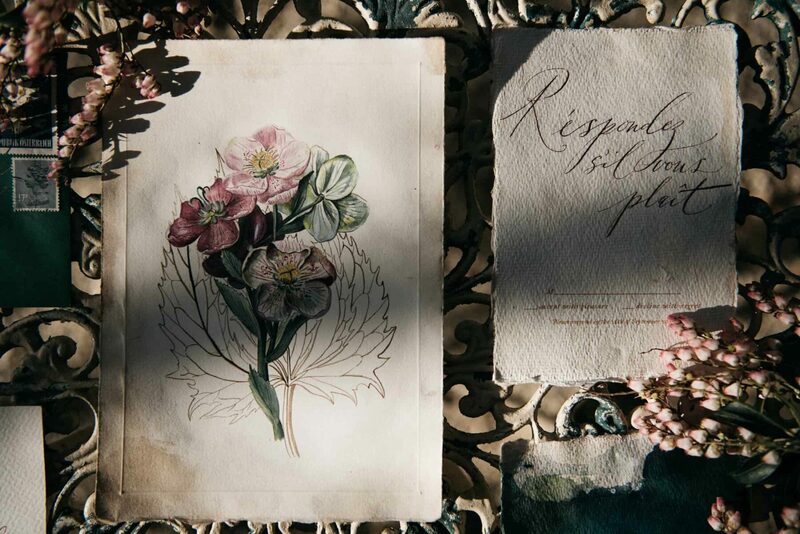 Watercolour stationery with a worn look by Lindqvist Ink establishes the mood for a beautifully textural table setting in the grounds of the House of Avongale. 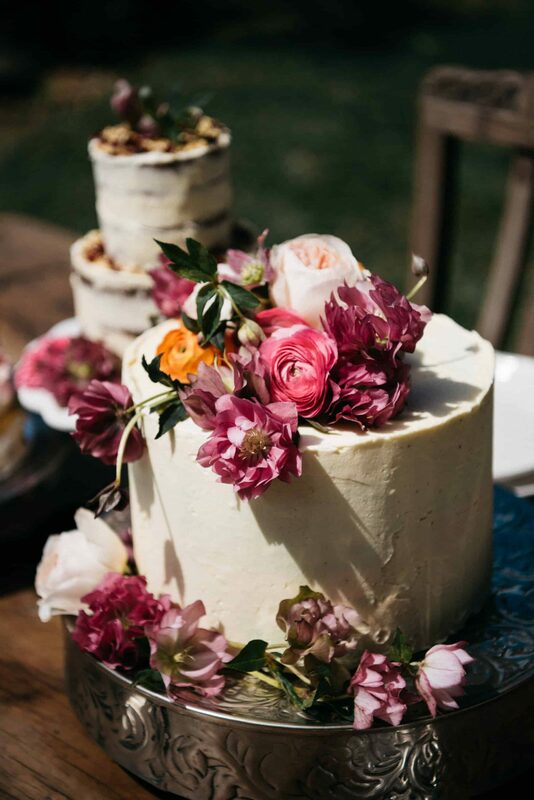 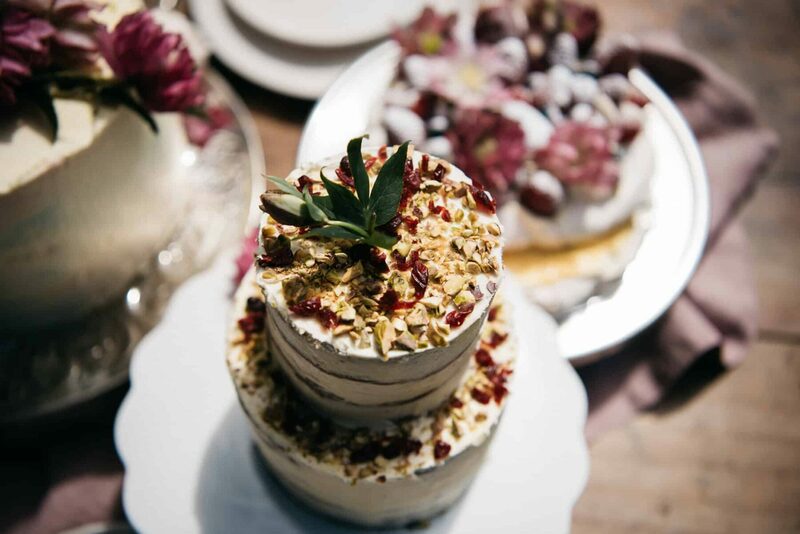 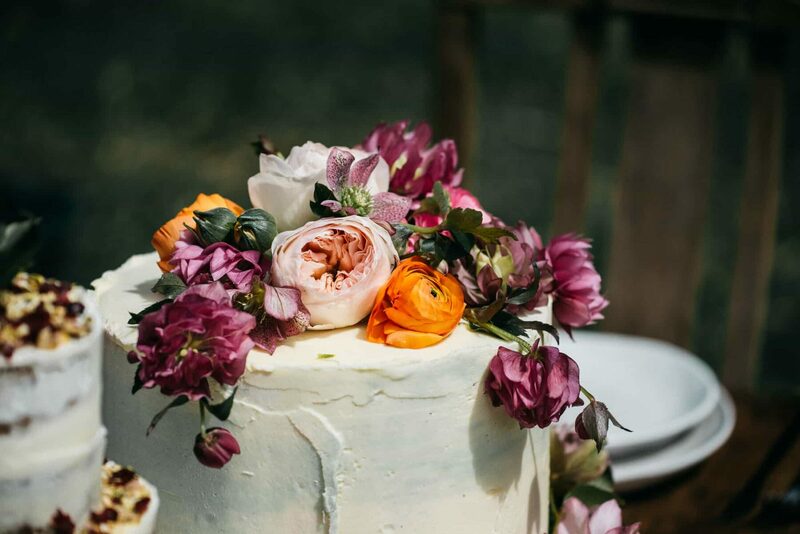 An alluring tablescape is created by blooms by The French Petal, reminiscent of an English garden, paired with textured tableware by The Supper Club and cakes by Cake That. 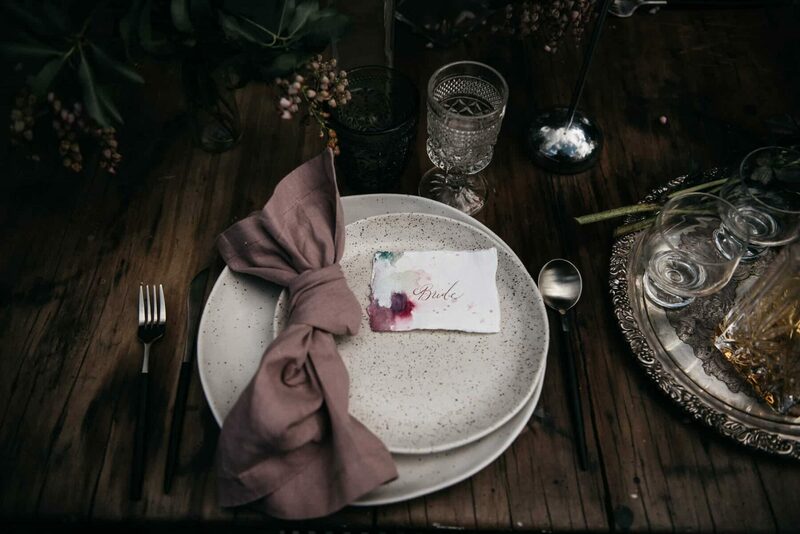 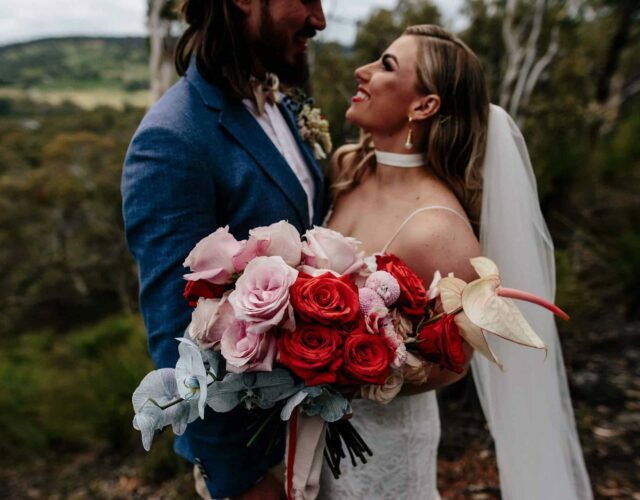 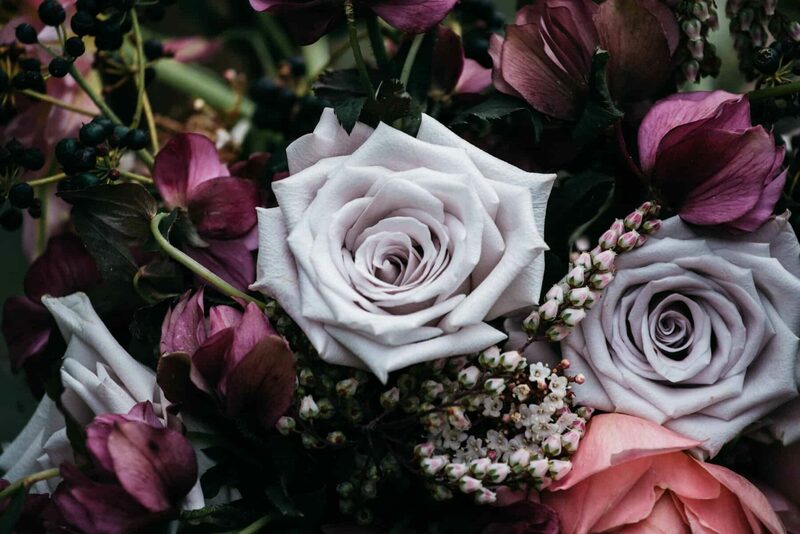 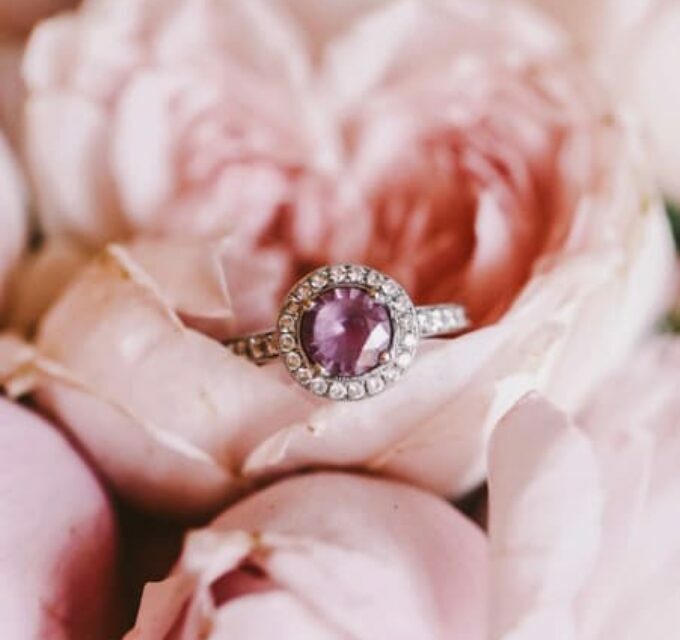 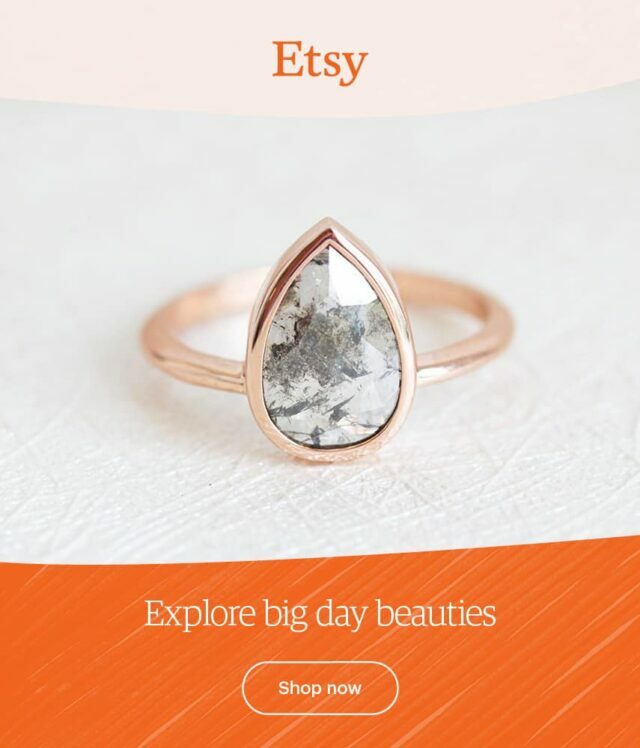 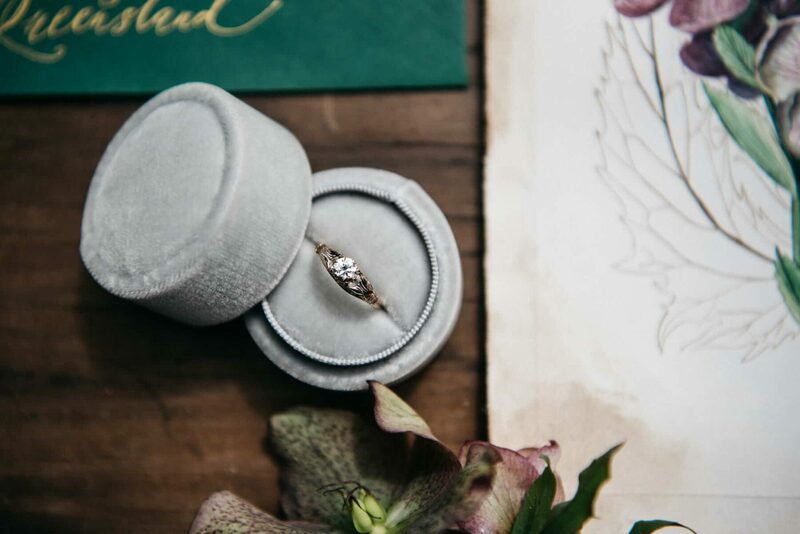 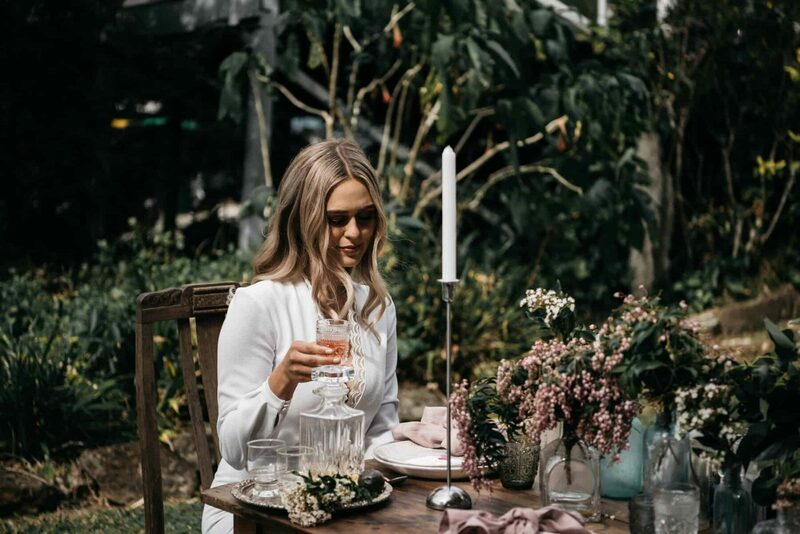 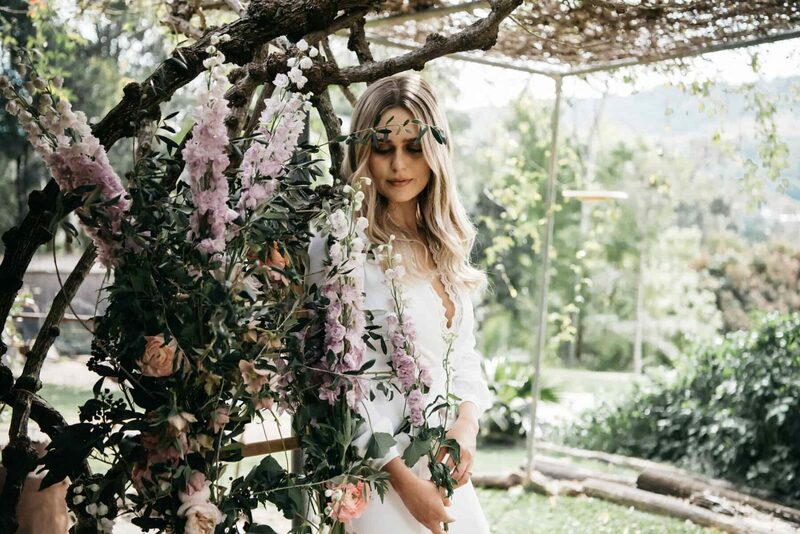 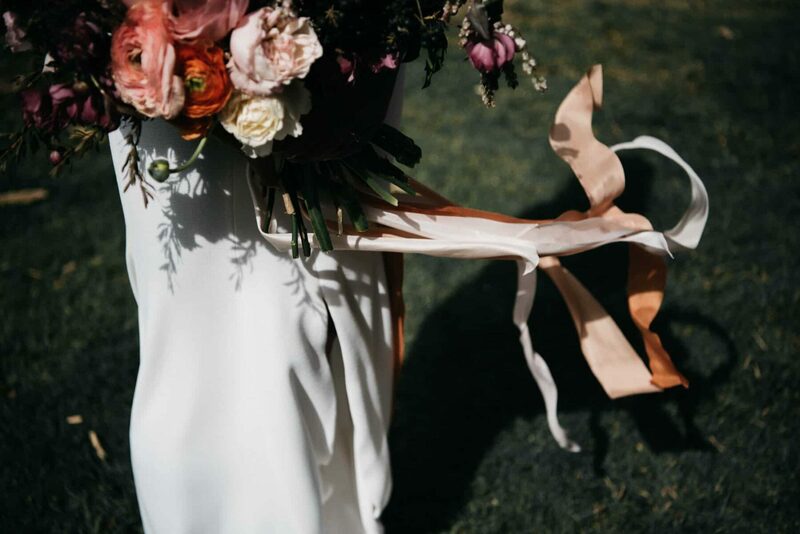 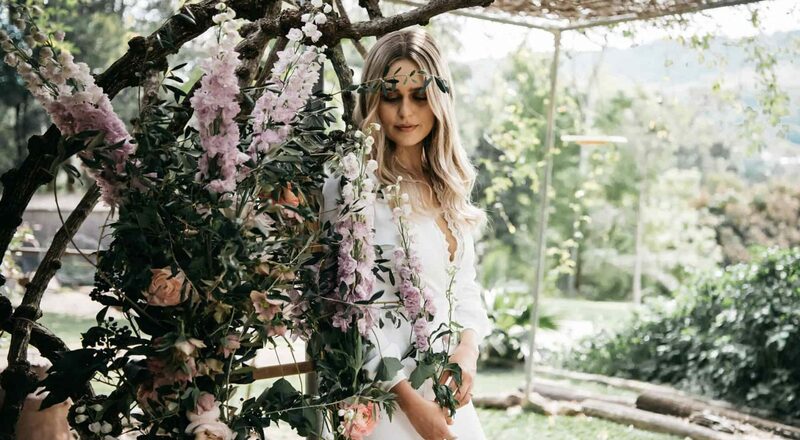 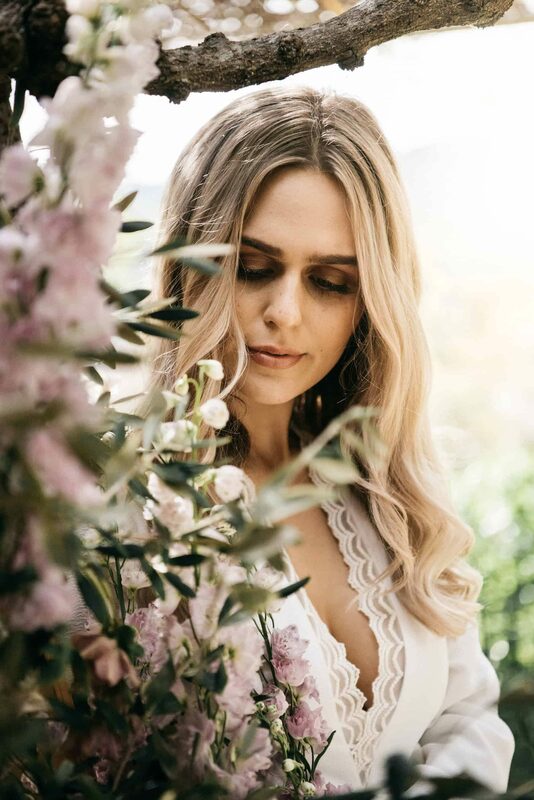 Adding to the charm of the shoot are details like flowing silk ribbons in blush tones by Tinctifolia which wrap around a bountiful bouquet, and the soft grey velvet ring box by Amonie housing an exquisite ring by Sally Rose. 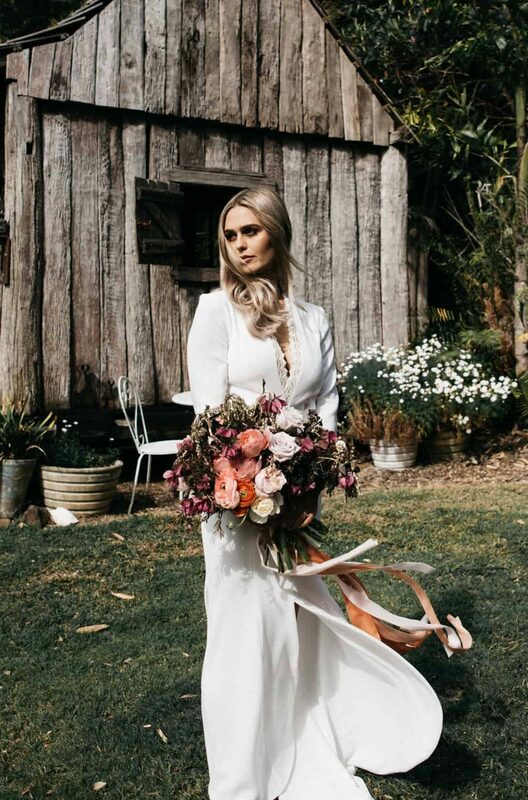 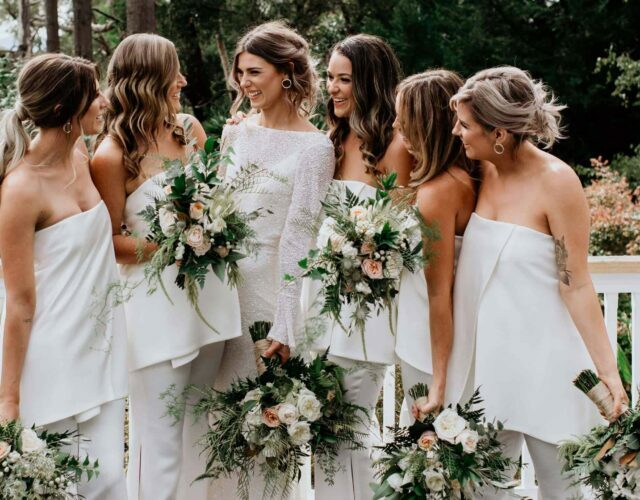 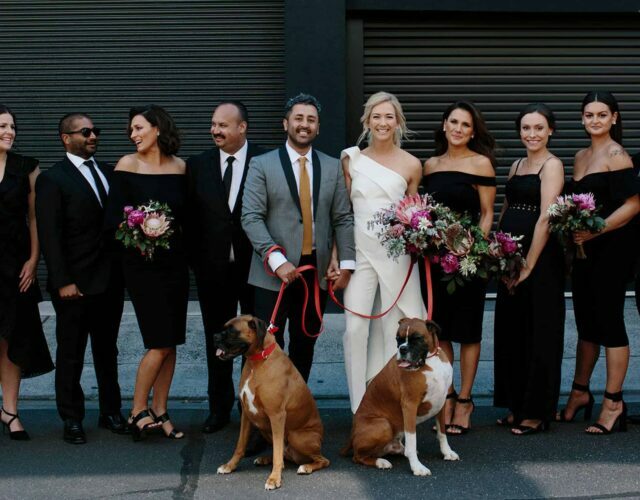 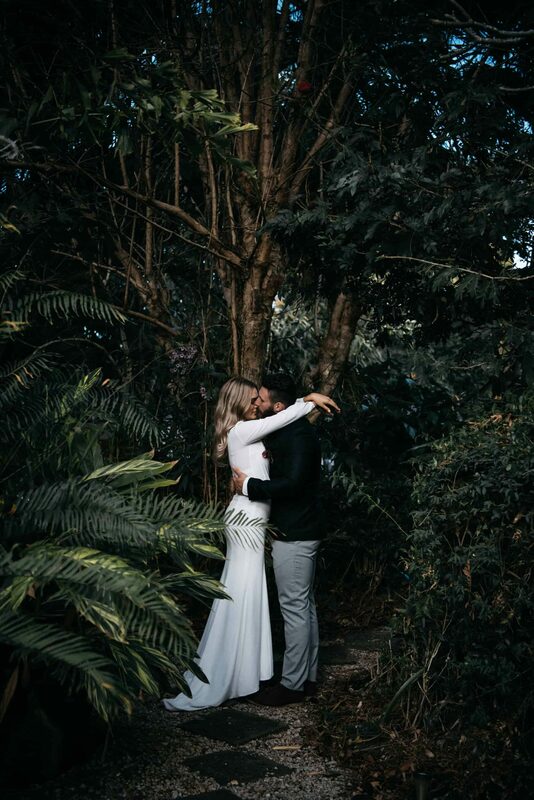 The crepe column gown by Mina Mancini carries a classical yet fashion-forward feel, with its plunging neckline and front slit, and is complemented by soft hair in loose waves and makeup in neutral tones by Elizabeth Crossley. 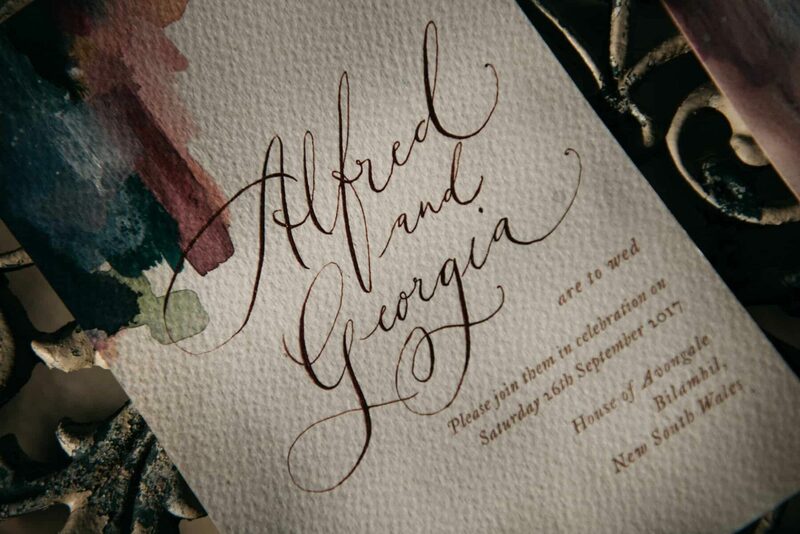 Textural & Contemporary Warehouse Shoot at Feld & Co.